Whether for a conference, marketing pack or business presentation, Cards Made Easy produce superior A4 and A5 folders that can be personalised with your company branding. You can also take advantage of our FREE design assistance your when ordering your bespoke folder online. Your presentation folders will be printed using thick, top quality card, with either a 5mm spine capacity or flat folded. Matt Laminated (360gsm), Gloss Laminated (360gsm). 303mm x 215 mm (Oversize A4), 216mm x 153 mm (Oversize A5). For pitches and presentations to potential clients, the neatest and most professional way to distribute the documentation supporting your proposal is in a folder. By branding your folder to your organisation, you can promote services and create a powerful marketing message that reinforces your professionalism in the mind of the recipient. If you are organising a conference, large or small, it is easy to create a suitable folder for your delegates. This folder can then be used to publicise certain seminars and speeches, or entice your guests to any future events you may be holding. 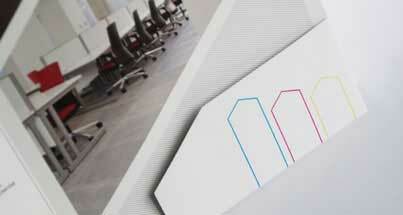 Larger companies also use presentation folders to welcome new employees. These welcome packs need to hold large amounts of information regarding the employment of the individual, this ranges from health and safety considerations to highlighting general company policies. 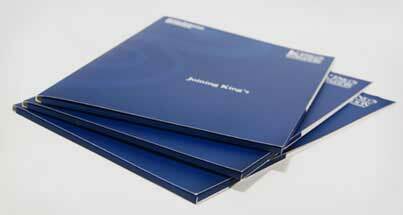 Folder printing is cost effective, and the minimum order is 10 rather than hundreds. Pocket Information: We offer a flat or 5mm capacity pocket. The 5mm pocket can hold a brochure or up to 40 loose pages. You can choose from plain or printed pockets. You can also choose to add a business card slot to the pocket layout.